COMMUNITY GRANT APPLICATION DEADLINE DECEMBER 7! The Junior League of Greenwich is accepting applications for its Community Grant Award until December 7! Every year, the Junior League of Greenwich awards a grant to a community organization. 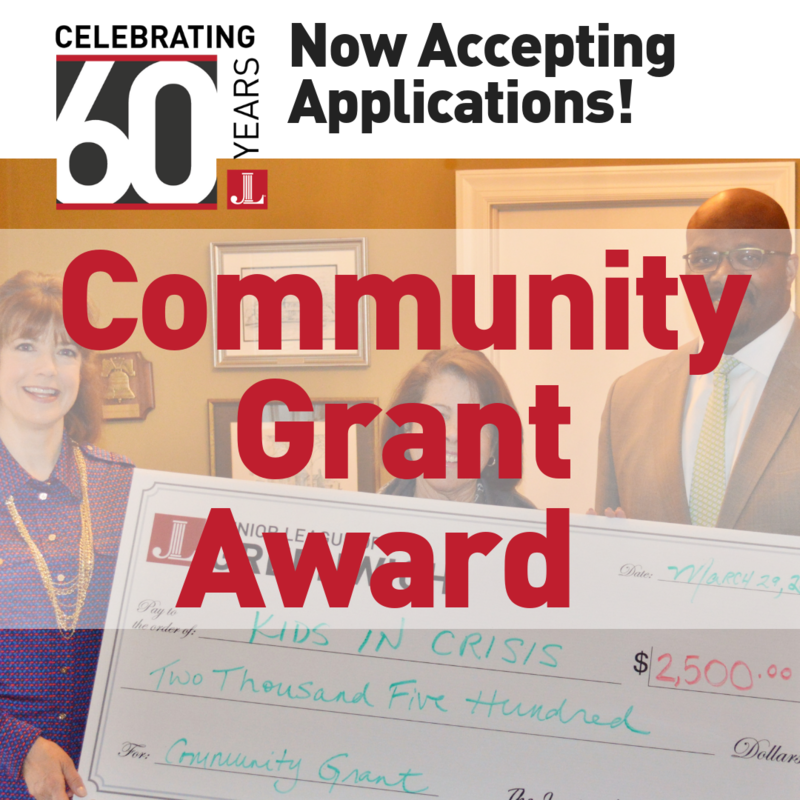 The grant is to provide financial support for a community need not currently being met by Junior League projects or programs. The grant will be awarded to fund new initiatives or expand programs relating to community needs, not subsidize existing programs, and will be presented to the recipient in the Spring. Community Grant applications are due December 7, 2018. For more information, please call the JLG office 203-869-1979 or email the Junior League at jlg@jlgreenwich.org. Applications can be submitted HERE. Last year, the Junior League of Greenwich presented the Community Grant Award to Kids in Crisis (KIC) in conjunction with the Boys & Girls Club of Greenwich (BGCG). The grant was utilized to expand Kids in Crisis existing program providing “Youth Mental Health First Aid Training” to staff at the Boys & Girls Club of Greenwich. The collaboration allowed KIC to assist the BGCG in supporting the growing need for mental health services for the youth aged 6 to 18 that attend the Boys & Girls Club of Greenwich.